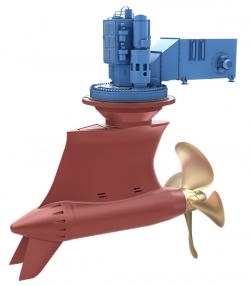 Rolls-Royce has unveiled ELegance – a new podded propulsion system for units in the 1.5MW to 7MW power range. 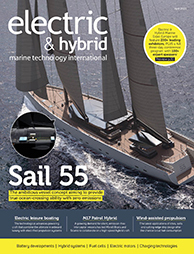 The ELegance pods – one with an open propeller, the other ducted – have been designed to complement and complete the company’s existing portfolio of mechanical and electric propulsion systems. Rolls-Royce, which is currently building a 4.6MW ELegance pod at its Rauma facility in Finland, is in discussions with shipowners to install the pod in a pilot project. The 1A Super and Polar Code 6 ice class pods feature a ‘twin tail’ concept to improve efficiency and reduce cavitation-induced noise and vibration. A new integrated hull fitting interface allows a compact head-box to be used, minimizing drag and further improving hull efficiency. This also allows the height and tilt of the pod to be adjusted, enabling operators to select the optimum propeller size for the vessel.